Elevate your style game with these cool cold-weather staples. Chilly temperatures have arrived or if you will be hitting the slopes or skiing the Alps, these winter style staples will light up your look. Puffer jackets aren't something new but this season's jackets got an upgrade. 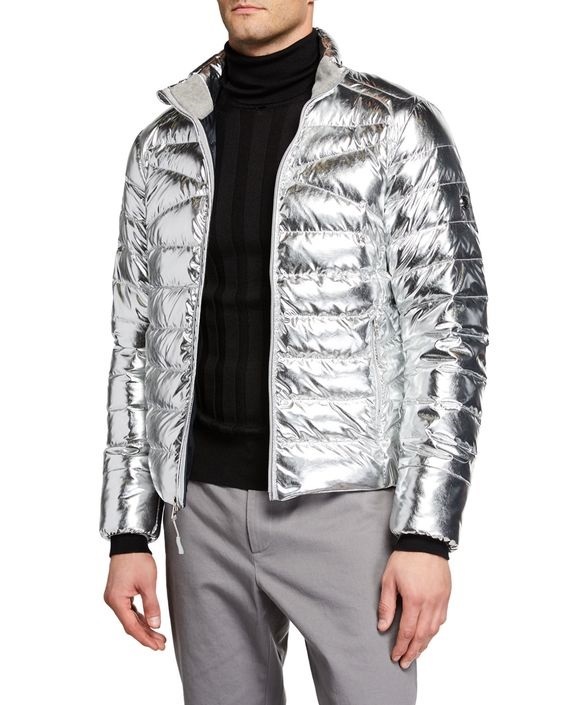 Stylish satin over-sized options bring the heat or opt for a metallic or bold color puffer jacket to cinch your style. 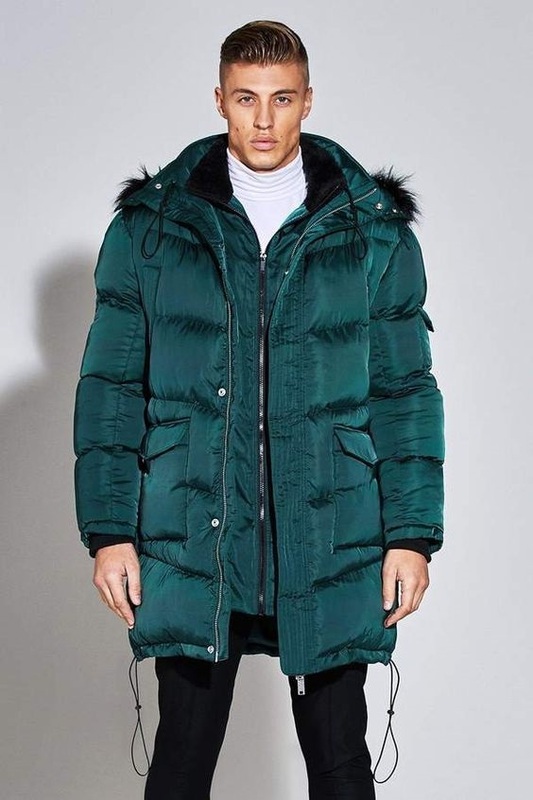 A puffer coat can be worn like any other coat would be – equally perfect over a suit on a weekday, or with a sweater and boots with jeans at the weekend. The puffer jacket is now a bona fide streetwear necessity. 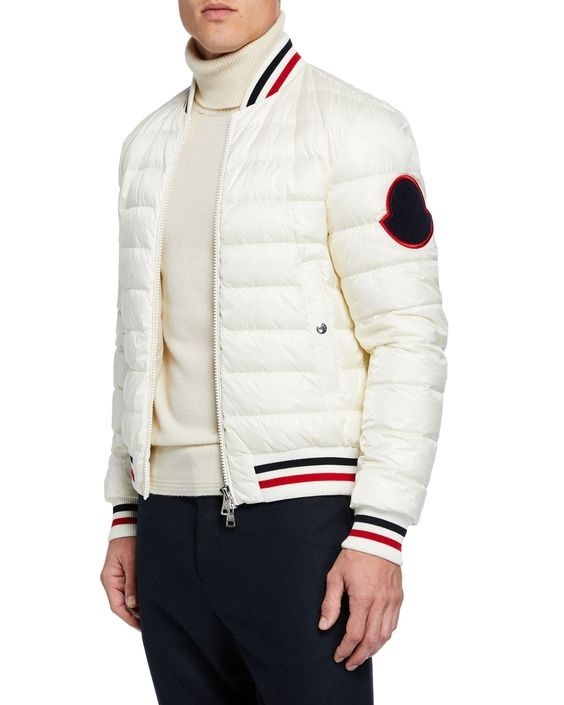 Bomber jackets in winter? Yes please. They got a winter upgrade with down lining. 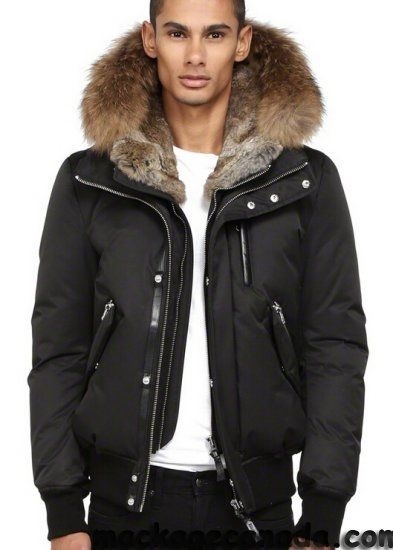 Add a fur trim hood to make a statement or shearling lining. Bomber jackets do not have to be basic. Look for pieces that have tri-color ribbed edging at the collar and patches, buckles or zippers to give it interesting flair. 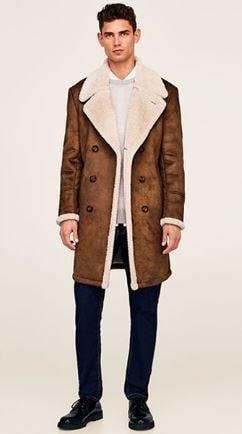 Shearling is one of the warmest and most luxurious winter coat fabrics. Choose a shearling lined coat or faux shearling to swerve the cost. Topcoats get an upgrade in 2019. 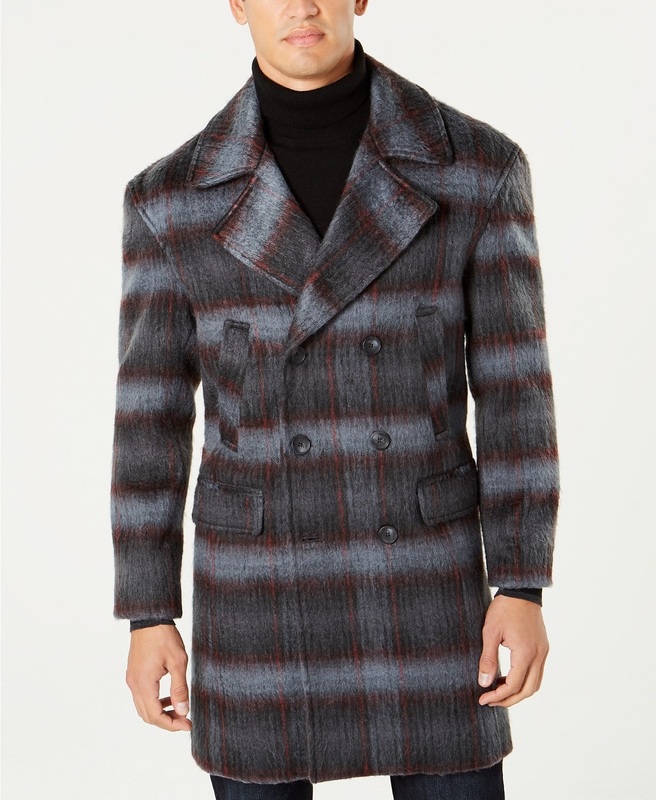 Choose from checks to houndstooth to windowpane or plaid, a bolder style topcoat dresses up a suit or sweater and jeans. Instantly elevate a casual look wearing a print topcoat.